In 2015 I founded Quwa with the aim of discussing Pakistani defence issues. In the lead-up to releasing my first post, I had found that there was a dearth in accessible information on Pakistani defence programs. Yes, the information was there, but it was rarely ‘knitted’ to provide an informed perspective on why such programs were pursued, where they stand today and where they are heading in the long-term. In some cases, the information would get lost and forgotten, leaving gaps in knowledge for most observers. Since writing my first articles more than two years ago, I have been joined by thousands of unique daily readers. It has been an immense honour producing content for you and receiving your feedback over the years. Truly, it has been an honour, making this announcement even more important. As you might imagine, Quwa Premium is a paid subscription tier. However, I am not taking anything away from Quwa’s existing content. If you came here based on the content free content published on Quwa, then rest assured that will continue. I personally hate the use of frequent paywalls. Hence, Quwa Premium will not impact Quwa’s existing or future free content. Quwa Premium is an distinct addition to Quwa’s free content and it is intended to be a direct vehicle for achieving the core goals I had planned for Quwa from the start. Those following Pakistani defence issues will know that its coverage is not generally done from the view of defence enthusiasts, researchers or analysts. I am, at heart, an enthusiast and since following the area in 2003 I have had not enjoyed as much on Pakistan as I might have other countries. With Quwa Premium, I intend to provide that depth of work – i.e. detailed research and analysis, original news coverage, engaging with established analysts and observers and more – for Pakistani defence issues (i.e. the niche and readership that Quwa owes its existence). I want to deliver the questions we have, investigate the trends we see and, above all, provide timely, informed and digestible answers. Moreover, I want those supporting this effort directly to be the ones to access it and to help shape it. However, I also want to keep its entry accessible to all. Quwa Premium costs $10 USD per month for one weekly 1,500+ word article (i.e. four articles per month on recent Pakistani defence issues brought to the public discourse), a monthly 4,000+ word research report on a deeper question or seminal Pakistani defence topic, and original news coverage by attending relevant defence exhibitions and engaging with those involved in the Pakistani defence space. These articles will not just be bigger defence news summary and commentary pieces, but will comprise of insights from history, public policy, international relations, development and/or economics to provide a holistic picture. The monthly reports will be built upon proper research. The original news coverage will start with attendance to relevant exhibitions, e.g. IDEAS (and others). In terms of price, $10 USD per month is relatively high for content that is not daily. However, I want the content to utilize my best work and effort. This price enables me to avoid chasing volume, retire AdSense advertising and closely engage with the readership. There was the option of asking for donations or support, but I am of the belief of providing those who pay with a product in return for their patronage. There are no contracts or mandatory terms. There are no refunds, but you may subscribe for any specific month and cancel at any time (you have access to subscription management tools, including cancellation). I sincerely want to keep good faith, so for this month, I am releasing a complete free sample of the weekly article and, for the lifetime of Quwa Premium, provide free excerpts (15-20%) of the weekly and monthly content to all readers. Excerpts will be emailed to you through the daily newsletter (which you can subscribe to using the form on the right for desktop or bottom on mobile). This is for a start. Through 2018 I will add more to Quwa Premium to increase the value and satisfaction. 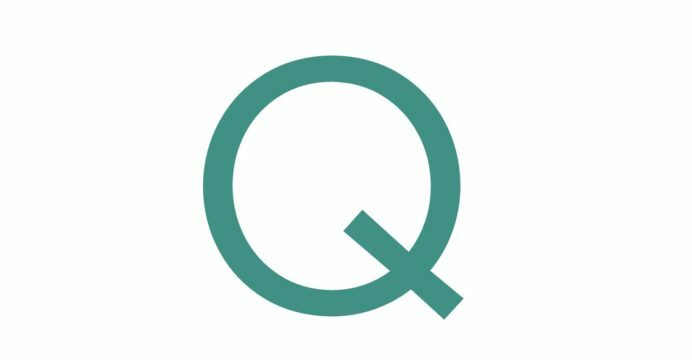 Those who join and maintain their subscriptions will be grandfathered for life, so regardless of what I add to Quwa Premium, you will not endure a price mark-up on Quwa’s end. On a case-by-case basis, I will also accommodate for those with financial difficulties, just send an email to premium@quwa.org. Finally, let me thank you all for your continued readership. I am excited for Quwa Premium and will stand behind it, but knowing that thousands of people around the world are coming to Quwa to read about the JF-17 fighter, al-Khalid tank, Project Azm and other programs is humbling and surely a cause to improve. If you are interested in subscribing to Quwa Premium, the following button will take you to the subscription portal.